I destroyed that poor boy’s soul. Saying baby you’ll be left alone. And tomorrow’ll be the last of me. This old engine goin’ to carry me away. And we’ll run her in some lonesome hole. 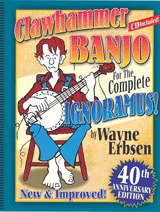 Instruction on how to play this song can be found in Wayne Erbsen’s book : Clawhammer Banjo for the Complete Ignoramus.